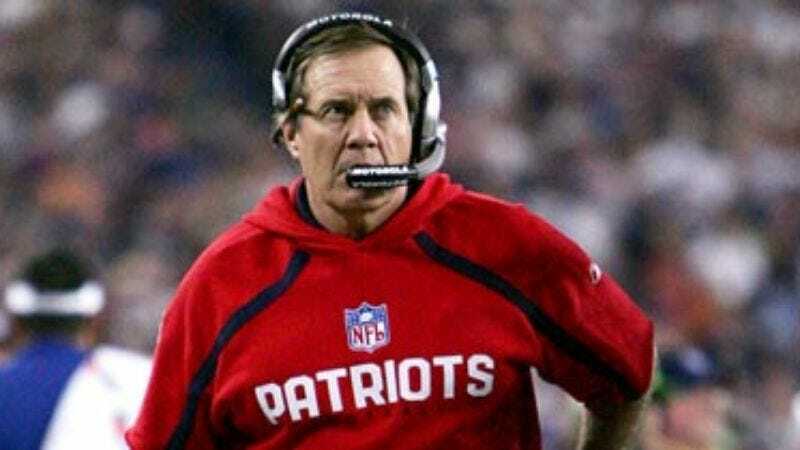 PHOENIX—Patriots head coach Bill Belichick, the target of much criticism this week after his brusque exit from the playing field with one second left in the Super Bowl Sunday, questioned reporters gathered outside the team's locker room as to whether or not his players had somehow created a turnover during the Giants' final kneel-down and scored the winning touchdown. "Did we end up making a couple of more plays than the other team ended up making during the final second?" Belichick asked. "I'm assuming Randy Moss didn't happen to leap over the Giants offensive line, throw himself under Eli Manning's knee, causing a fumble which was then picked up by Mike Vrabel and run all the way back for a touchdown, right?" Upon finding out that his team did not in fact pull off an amazing miracle comeback in the controversial second, Belichick muttered something about disappointment and walked off.